After the death of Padre Pio, the Saint’s friars thought of constructing a new church, because too sensitive to the material and spiritual needs of the devotees, that the existing church could not contain. 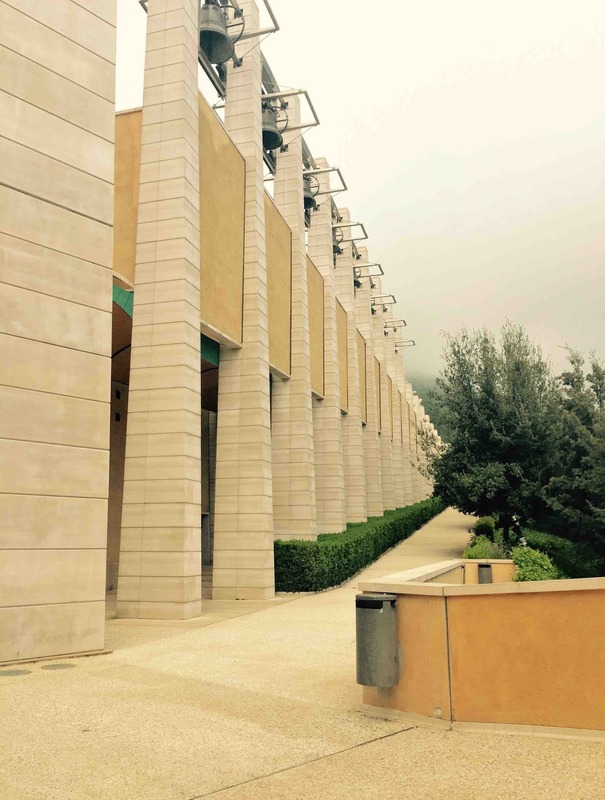 After the presentation of several projects, Friars entrusted the design of a new church to the architect Renzo Piano, so that it could accommodate 6,500 people. For its size it is the second largest church in Italy, after St. Peter's Church in Rome. The picturesque churchyard is bordered by twelve fountains symbolizing the River Jordan. 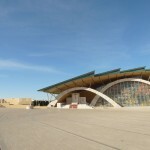 Their structure is in reinforced concrete, while the bottom is covered with the rolled steel and is covered with pebbles. On the edges of the fountains there is the Apricena stone, with an thickness of 8 cm. In the north of the churchyard, twenty olive trees were placed. From the churchyard, you can access directly to the crypt, a masterpiece of contemporary art made ​​by a Jesuit Father Marko Ivan Rupnik. 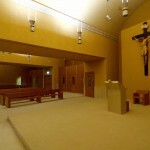 It consists of an Upper Church, divided into three rooms: the liturgical room, the chapel of the Eucharist, the sacristy and an Inferior Church, with reduced size, where there is the crypt that preserves the remains of the Saint since 19 April 2010.The liturgical hall has the shape of a shell, a surface area of ​​about 6.000 square meters that can seat up to 7,000 people and is connected to the churchyard through a transparent big stained-glass window so it can accommodate 30,000 pilgrims. It was built using the Apricena stone, it is supported by 22 arches that create a curious optical effect of intricacies. Each of the large arches is intended to hold a glulam and copper cover, with large spans up to 45 meters.The spiral-shaped floor is formed by inclined planes towards the presbytery and consists of elements made of Apricena bush-hammered stone. 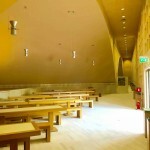 The seats are 6,500 which are wooden benches of different lengths, all convergent towards the presbytery. 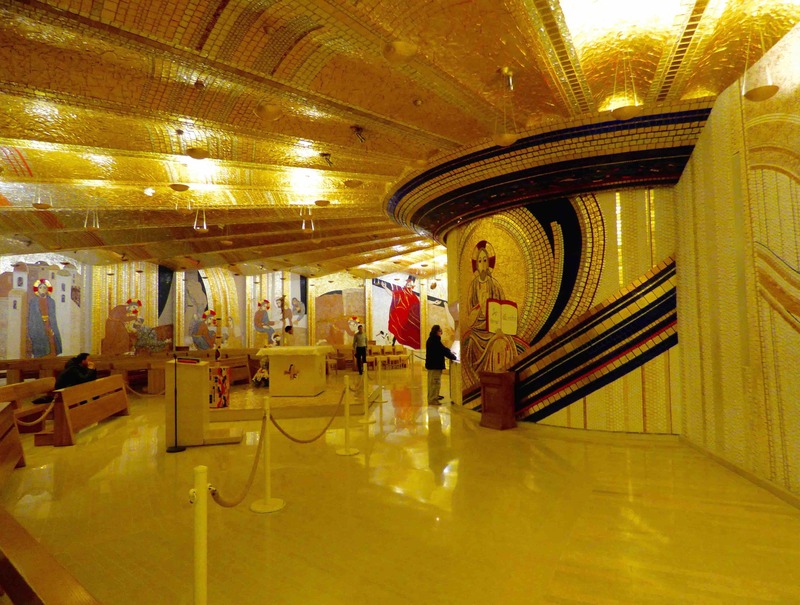 Along the perimeter edge of the room, there are twenty-four overhead doors, three doors for every span, that place you on the processional path. They have the function of an emergency exit and serve to facilitate the outflow of the worshippers towards the churchyard at the end of the Eucharistic celebration.The presbytery area is located around the pilaster, on two floors, with the altar placed at the top to form the highest point in the liturgical hall. It was made by Arnaldo Pomodoro and has the shape of a wedge that sticks to the presbytery. 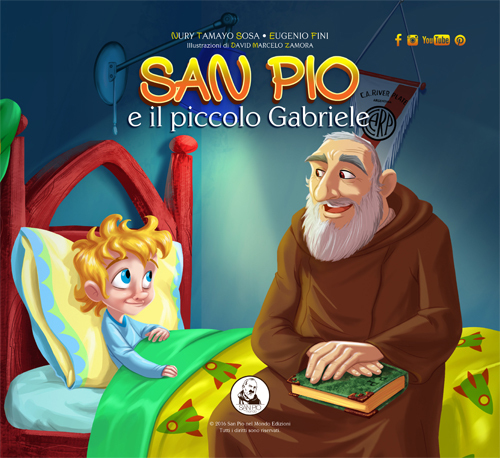 The author Giuliano Vangi wanted to illustrate four scenes of the paschal mystery: 1)Mary Magdalene who bends over the face of Jesus and Nicodemus with the appearance of Padre Pio who supports his feet. 2) Two angels announce Christ’s resurrection to Mary Magdalene. 3) The encounter of Mary Magdalene with Jesus and in the fourth scene it is always she that gives the announcement of Christ’s resurrection to the Apostles Peter and John. 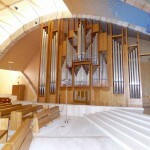 The monumental organ is composed of 5814 pipes, seventy-eight real stops and four keyboards; it was built by craftsmen from the Pinchi firm of Foligno, and it completes the interior design of the liturgical hall on the north side.Behind the pilaster, with suitable passageways, there is a sacristy of 555 square meters. Next to the liturgy entrance, always outside the liturgical room, there is the baptismal font. It is made of an octagonal tub realized with the Apricena stone for the total immersion of who is baptized. 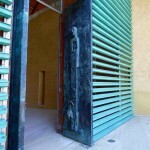 It is realized next to the crypt and it can also be accessed from the staircase leading to the churchyard. It consists of thirty-one confessionals for direct confession or through a grate. It is a space (of 570 square meters) between the meeting rooms and toilets. 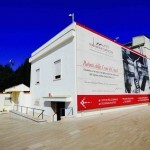 It is also used as an exhibition space for events related to the life and works of Saint Pio of Pietrelcina . In the entrance, on the left, there are two lifts for twenty-four to twenty-six people, which allow the disabled and the infirm to access to the floor of the crypt, to the floor of the pilgrim's room and to the floor of the churchyard. From the foyer, you can access to three meeting rooms: they are composed of stalls and galleries and can accommodate 907 people. These three rooms are equipped with spaces for the director and for the simultaneous translations in four languages. 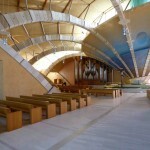 The vaults are covered with sound-absorbing panels and with fine wooden slats. In the reception centre for pilgrims, there are several counters that contain artwork. Staff show the pilgrims their desired paths and organise guided tours in different languages (English, French, German, Polish and Spanish). It’s adjacent to the colonnade, and here, there are tables and chairs. In this room, pilgrims can eat their packed meals. 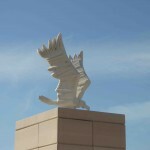 Close to the bells, there are eight stone eagles crafted by Mario Rossello (they were his last works before his death). Number eight indicates Easter, the eighth day of the Resurrection. The sculptor wanted to revive the ancient myth that is in Psalm 103 (102). It was built in the south of the structure; it’s composed of 21 columns and is 100,40 metres long. The first nine columns, the highest and these towards the west contain eight bronze bells melted by the Pontifical Foundry of Marinelli of Agnone; and every bell has in relief the name of the saint to which it is dedicated and on the other side, the name of the worshippers who have donated. 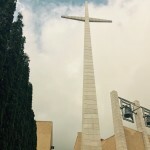 The great cross is composed of 70 elements made of solid stone of Apricena and it is 40 meters high. It was built with the same criteria utilised for the construction of the arches. 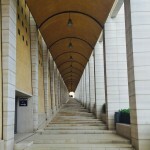 It’s called “avenue of 40 meters”, and it’s another work in addition to the large complex of the liturgical hall. 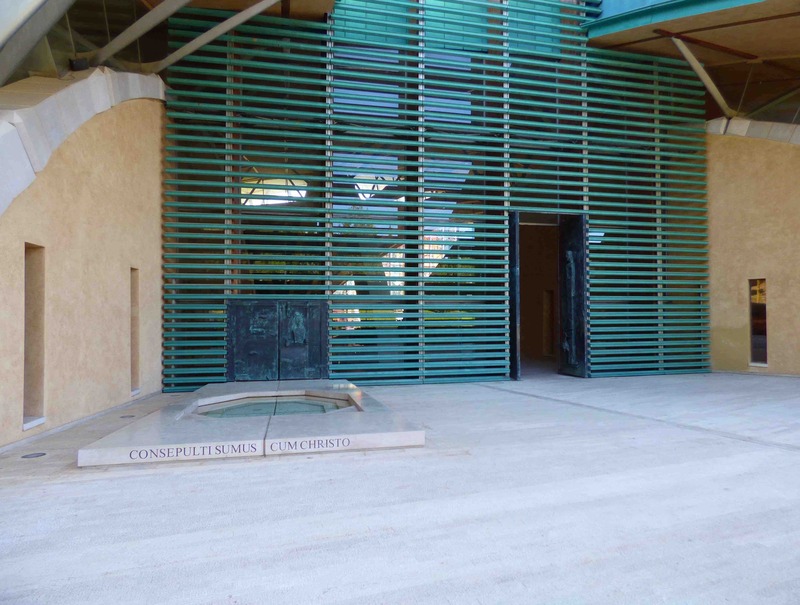 It leads from Aldo Moro avenue to the entrance to the floor of the crypt and to the great cross placed at the side towards East. Crossing the north entrance of church of Saint Pio, pilgrims can see the chapel of the Eucharist on the left, where they can pray in front of the relics of San Pio of Pietrelcina. 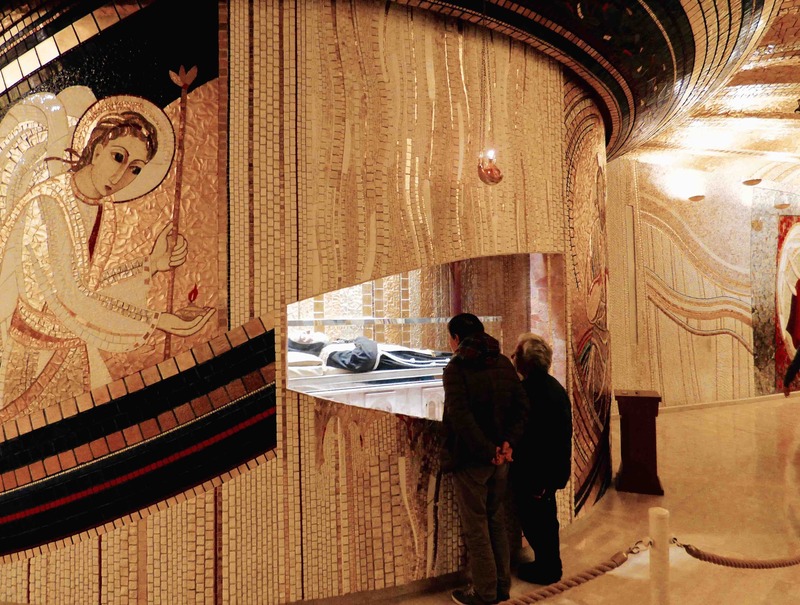 The Eucharistic tabernacle is a monolith made of lava stone of Mount Etna, modelled by the artist Floriano Bodini (died in 2005) and embellished with silver tiles. 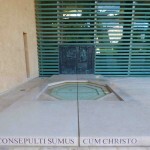 Instead of the usual door a sliding system was adopted, in fact, the monolith hides the two panels that distance themselves making the ciborium or monstrance visible. 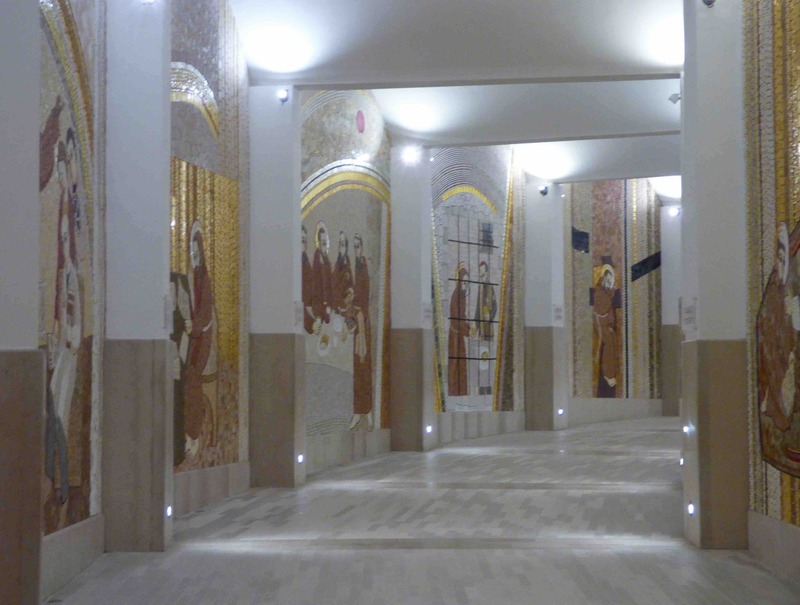 The frescos on the walls were created by the Spiritual Art Centre “Aletti”, thanks to Sister Elisa Galardi, an Augustinian nun of the St. Mary of the Annunciation. 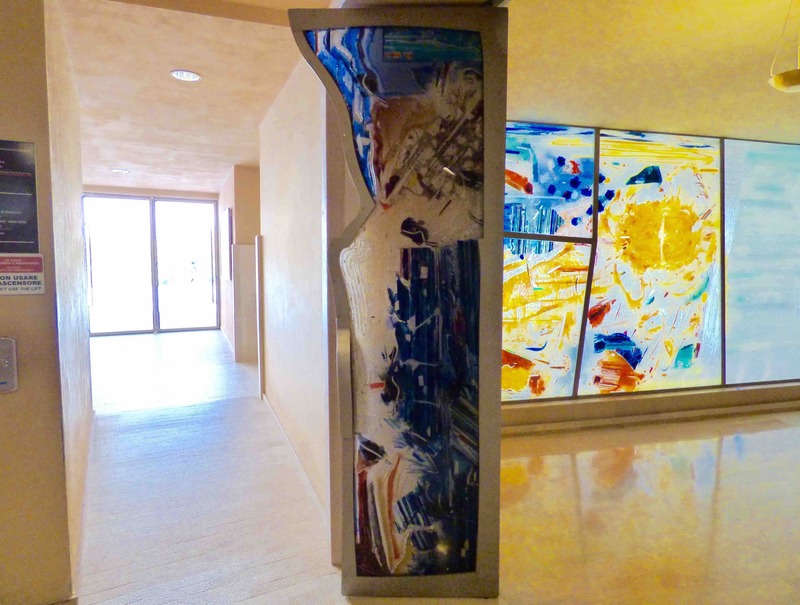 The rear panel made of blown glass and the front door were created by Michele Canzonieri (an artist of Palermo). The lower church or crypt is the most important and suggestive work of the total structure. It is placed on the level below the floor of the church in correspondence to the presbytery, as is tradition. You can access directly access to the crypt from the churchyard, or by a flight of eighty meters. Both the flight of eighty meters and the crypt are the most capacious in the world and they are entirely covered with mosaics. It is a masterpiece of contemporary art made ​​by the Jesuit Priest Marko Ivan Rupnik. 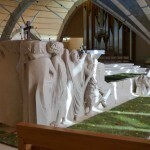 They are large panels depicting the life of Saint Francis and Saint Pio. 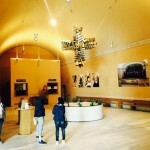 with the collaboration of Giovanna Canegallo for the decoration of the Apse; the Tabernacle made of lava stone of Mount Etna and in silver realized by Floriano Bodini; the rear panel of Chapel of the Eucharistic made of blown glass and the front door were created by Michele Canzonieri (an artist of Palermo); in the Chapel of the Eucharistic you can also admire the frescos on the walls created by the Spiritual Art Centre “Aletti”, thanks to Sister Elisa Galardi, an Augustinian nun of the St. Mary of the Annunciation; the bronze doors, the baptismal font for the total immersion and the liturgical hall realized by Mimmo Paladino; the stone Eagles over the wall of the churchyard by Mario Rossello; the stained-glass window of the church depicting some scenes of the Apocalypse taken from a series of tapestries of Angers cycle. 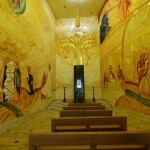 And mosaics designed ​​by the Jesuit Priest Marko Ivan Rupnik. 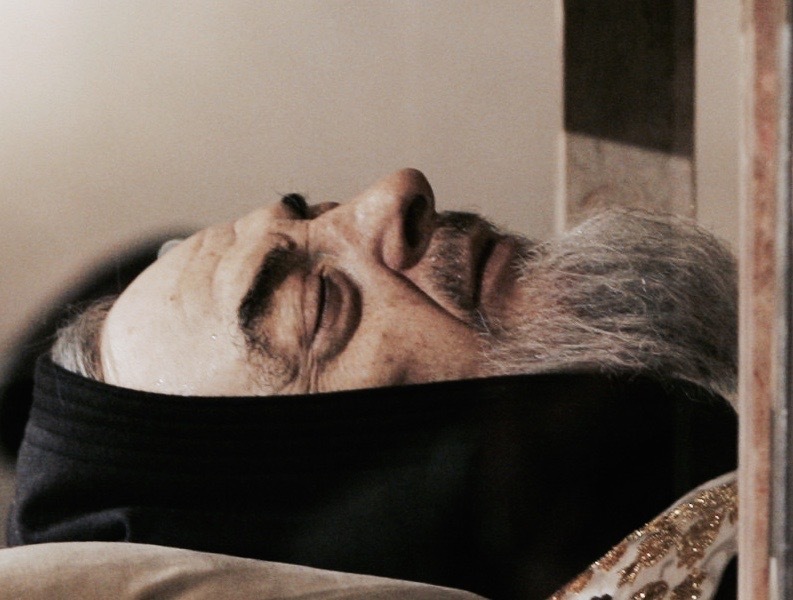 Father Rupnik said: “When the pilgrim arrives in a sanctuary he wants to reach the tomb of the saint as soon as possible to worship him, to ask for intercessions or graces, or to pray and to give thanks. Haste hides a subtle spiritual deception. When physically close to the Saint, some temporary emotions could occur but these do not affect his life”.When people ask questions about its gold coating, the Jesuit Father answers: “It is the gold donated by the many ex-votos, about ten kilos, which have been transformed into thin slices. The sight is exciting. In the crypt there is Christ of glory and the Christ of history. And between the two the mantle of God's holiness extends.Gold is the symbol of God's holiness, which extends to the world. What does Saint Pio see in the glory of God? A saint can only be immersed in this light. 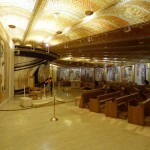 The crypt is the attempt to portray the place of those who live in God's holiness”. 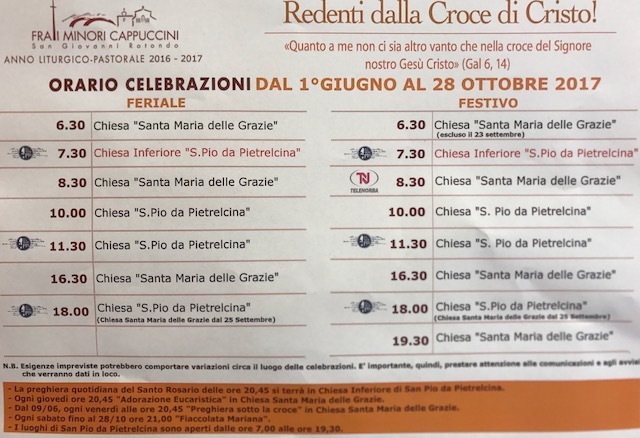 Another question is: “Padre Pio has always lived in Franciscan poverty, so would he be happy to be transported to this place?” and he simply answered: “I have found an illuminating phrase of Padre Pio dating back to 1915. “Trust and hope in the merits of Jesus, and so also poor clay will become pure gold which will shine in the palace of the King of heaven”. It is almost the comment to my work and the work of my staff. Love for man is not competitive with the love of God. If you give to God, you will receive. For this reason, in every century, maybe in a desolate sea of hovels, cathedrals were erected.People lived in poverty and misery, but wanted the house of God to be beautiful. 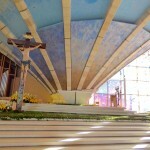 Entering the church, people wanted to have a foretaste of paradise. This is the emotion this crypt transmits”.